Wow, been mighty chilly over here. Roads were fairly icy this morning with wind chills below zero… Burrrr!!! 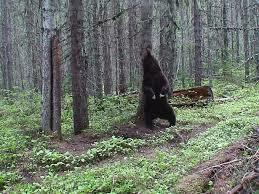 Well now that winter is well on its way the bears in this area are looking for food and getting ready to hibernate! Here are some pictures of our Glacier bear friends!!! 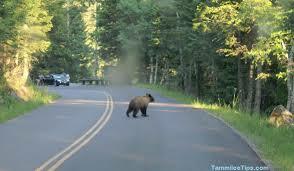 Well it seems as though the local bears got hungry enough to make their way down to the town of Whitefish MT. 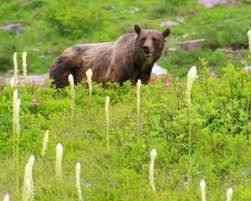 In the headlines was “Whitefish adopts emergency ordinance to keep bears away!! “Guess they were getting into trash cans and causing some scares!! I think the problem has been solved but sure did make for some interesting stories :-). Good morning 🙂 Yup, that’s why we carry bear spray… I’d be a running too 🙂 have a great day Swoosieque. Wow guess you can say that’s the bear facts ! Lol ! Some funny stuff here ladies. And the reason they come into town like that is its late in the season and the Huckleberries are all so they still need to bulk up some before its sleepy time, and I’d give anything to sleep like they can, not for 3 months but for a nice 8 or 9 hours would be nice. Have a wonderful day.